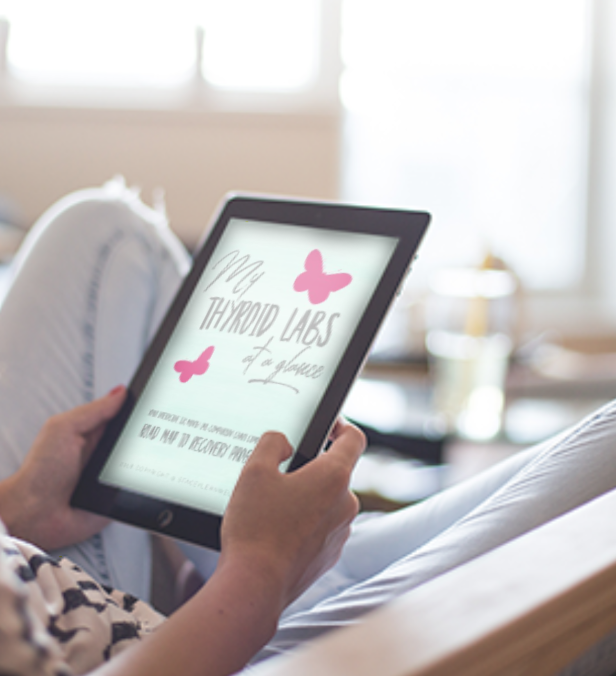 Checking to see if your thyroid levels are at a healthy range goes far beyond getting the common TSH (thyroid stimulating hormone) test done. Most often this is the one and only test that medical doctors will request when the thyroid is in question or when a patient is demonstrating common symptoms associated with thyroid dysfunction. Feel Free to download this interactive chart I created for my Hashimotos Recovery Road Map clients. Its been a tool to help my clients reclaim their health to no longer depend solely on medical staff to determine their healthy outcome. If you would like more information about joining the next Road Map to Recovery Program, go HERE for more information. Spaces are limited and fill quickly. If you cannot see availability and would like to be considered for the waiting list, please email staceylehn@gmail.com.